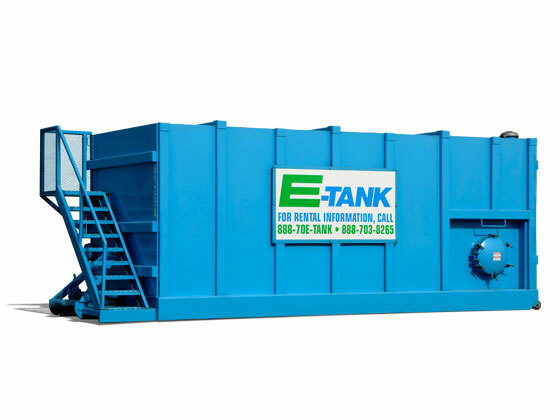 The project’s environmental remediation contractor chose E-Tank because of the company’s logistical expertise, quality equipment and record of performance. E-Tank was called upon to provide 25-Yard Roll-Off Boxes and Mini Frac Tanks for a sensitive, high profile environmental remediation project. Improper disposal of chemical solvents by a dry cleaner from many years past was discovered in the midst of a highly visible commercial center. To ensure public safety, it was critical that all contaminated soil be removed from the area and disposed of properly. But it was also important to minimize the disturbance to the commercial area that could be caused by the remediation process. 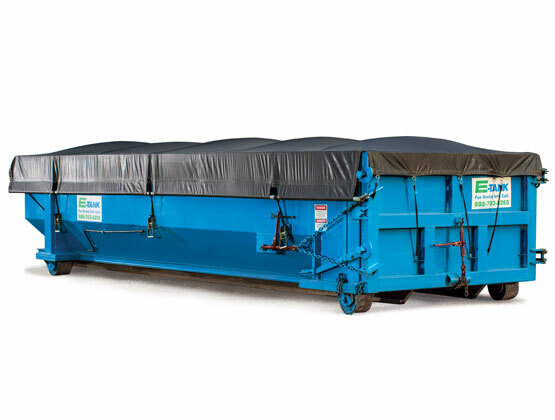 The project’s environmental remediation contractor chose E-Tank because of the Company’s logistical expertise, quality equipment and record of performance. The contractor specified that a large number of boxes would be required to complete the project, but they needed to limit the quantity on-site at any one time to only what was required on a daily basis, minimizing the disruption in the commercial area. The contractor called on E-Tank to provide batches of roll-off sludge boxes on a just-in-time basis as the project progressed. E-Tank provided over 125 25-Yard Roll-Off Boxes and a number of 10,000-Gallon Frac Tanks. Storage and removal of contaminated soil were facilitated by the timely delivery of quality equipment, which helped to complete the remediation project on schedule. E-Tank’s “Complete Maintenance” plan assured that each roll-off box performed as required, preventing damaging leaks of the contaminated material during transportation.